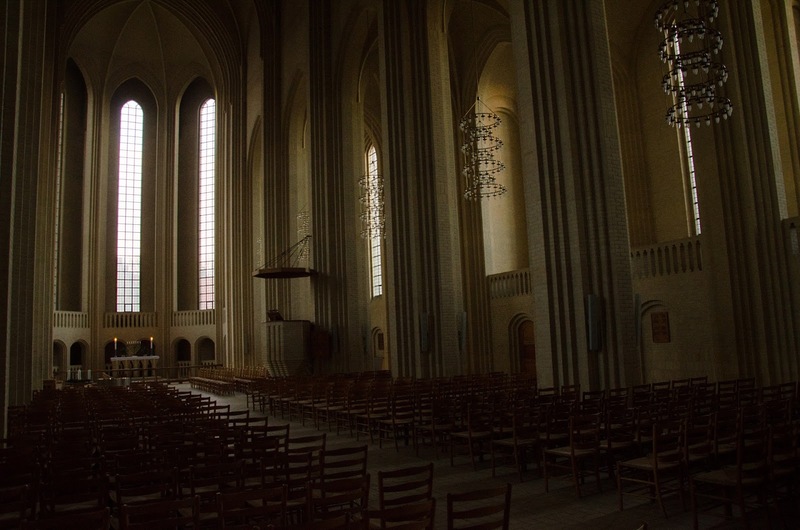 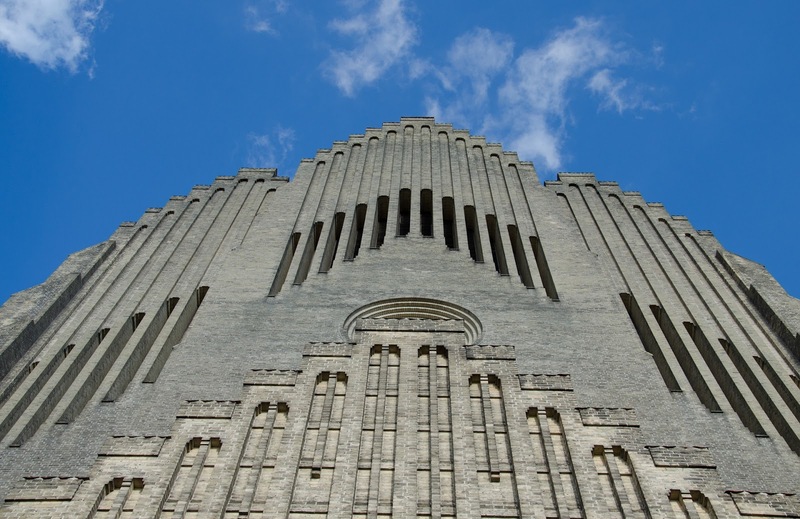 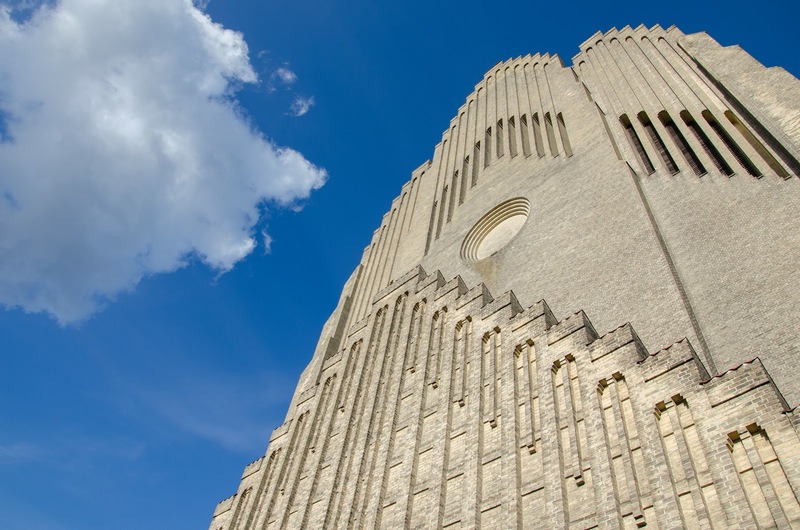 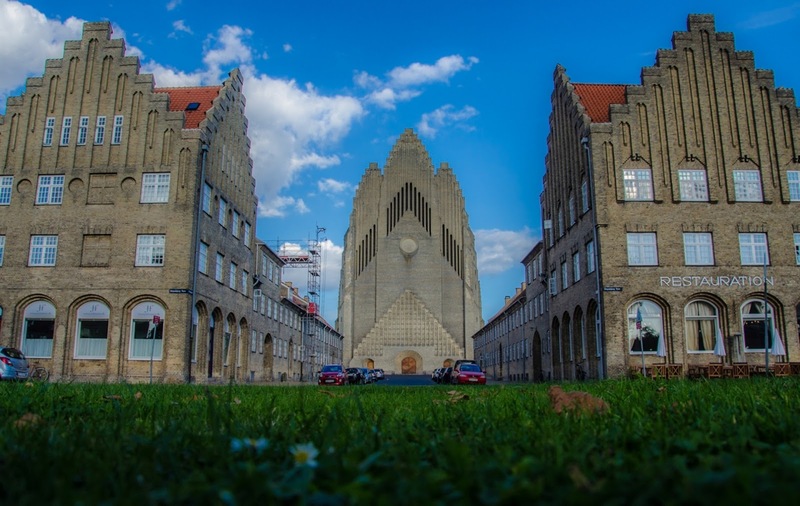 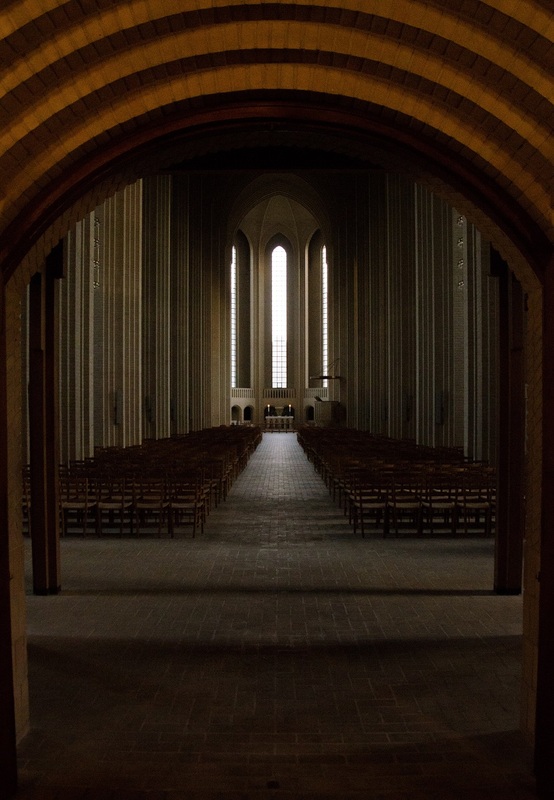 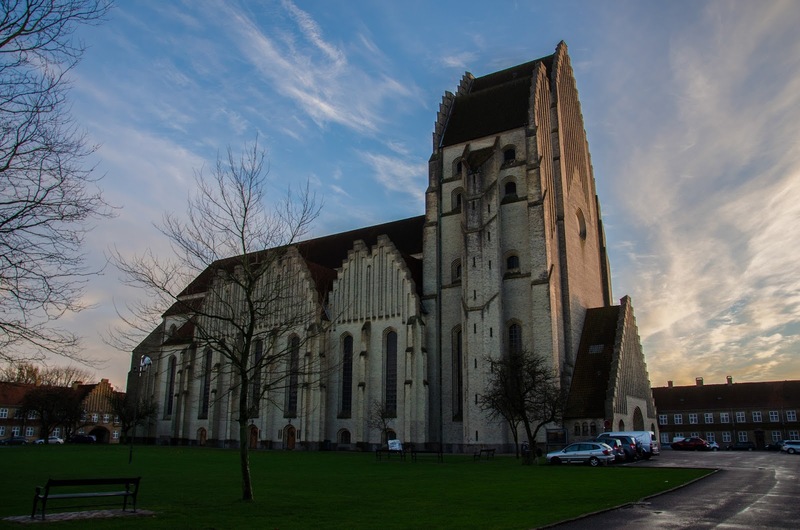 Grundtvig's Kirke (Grundtvig's Church) is a rare example of expressionist church architecture, located in Copenhagen. 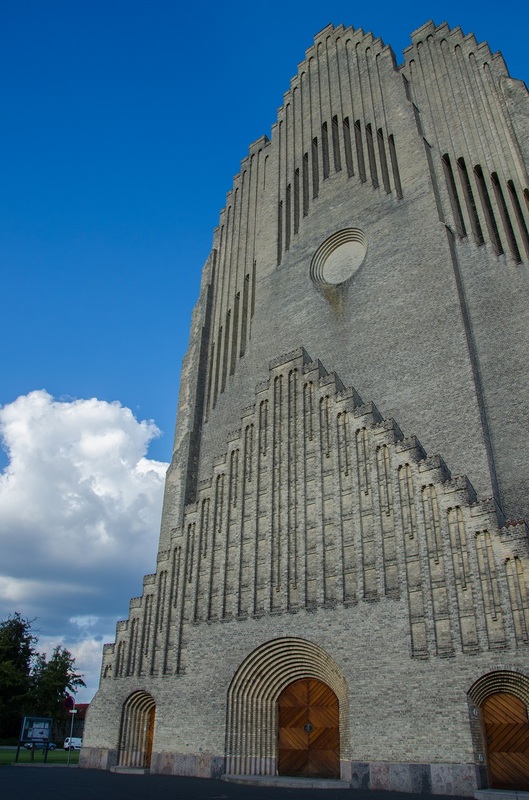 Designed by Jensen-Klint, the church was complete by 1940, becoming one of the strangest churches in Europe. 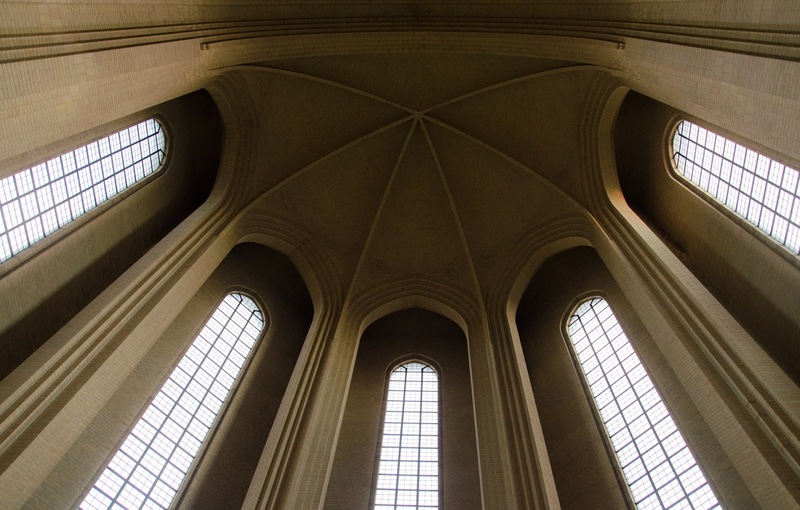 Klint merged the modern geometric forms of Brick Expressionism with the classical vertical of Gothic Architecture. 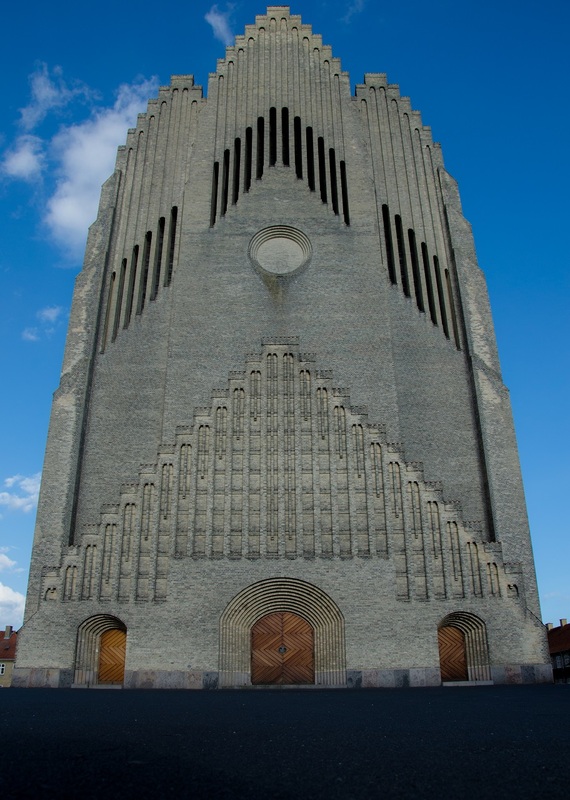 the front pat of the church (the "tower") is 49m tall. 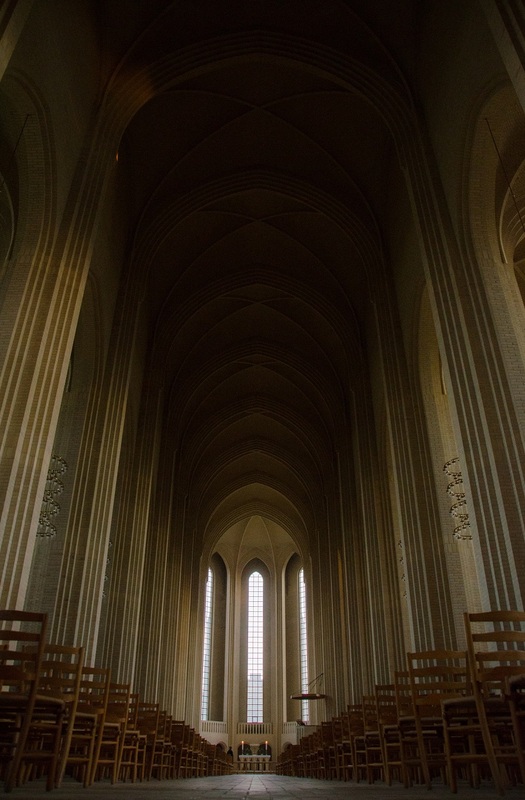 Looking straight the the tower, one's eyes are guided towards the sky.The total length of the church is 76m.